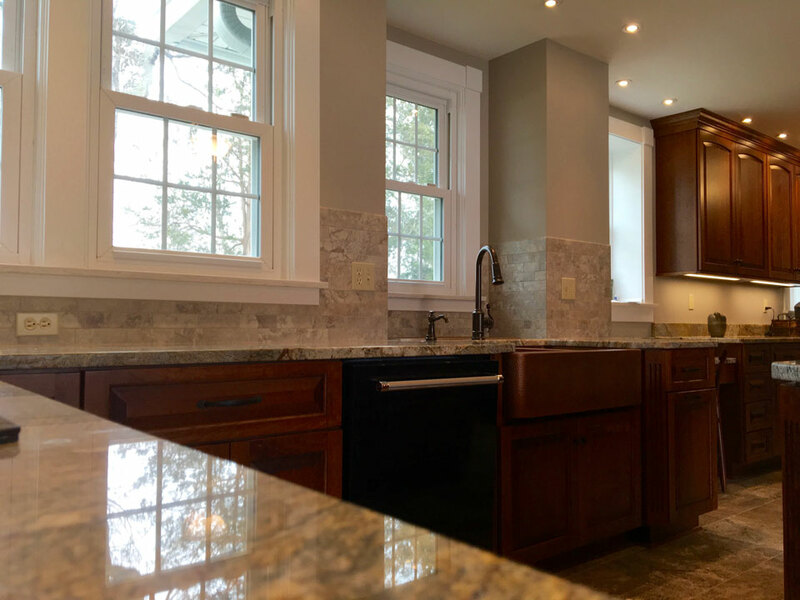 Large Mentor Cherry Kitchen Remodel — R.C. Carpentry, Inc.
A hammered copper farm style sink and an oil rubbed bronze Moen Aberdeen faucet were added. 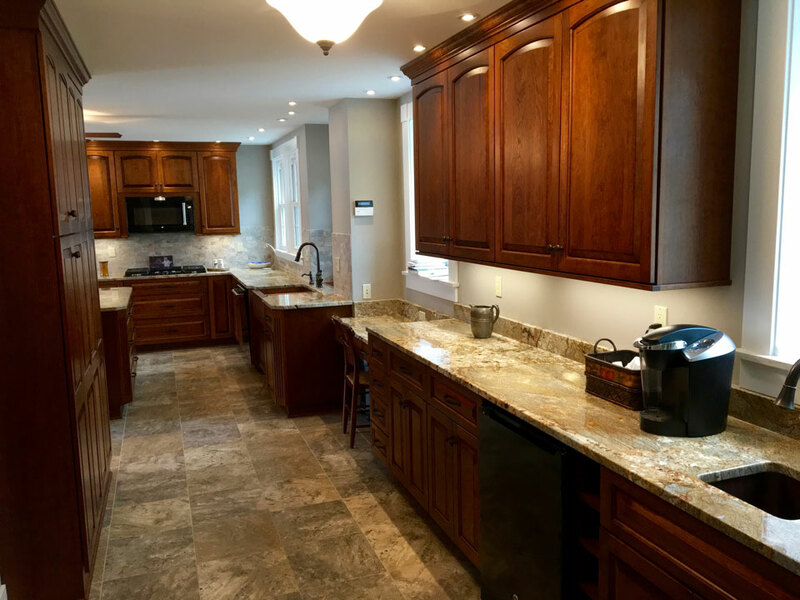 As the previous kitchen did not feature an island, the customer was apprehensive about the thought of a new island. After a week of use, she cannot imagine not having it. Its the perfect landing area for everything.